THE OWNER of phone giant Three is in talks to buy Britain’s second-largest mobile provider O2 for up to £10.25bn. Li Ka-Shing, Asia’s richest person and his firm, Hong Kong-based Hutchison Whampoa, already owns the Three mobile network, and combining it with O2, currently owned by Spain’s Telefonica, would create the UK’s biggest mobile group. The move would reduce the number of major operators in the UK from four to three, which might not benefit consumers and could face tough scrutiny from competition regulators. Currently the UK mobile market is dominated by O2, EE, Vodafone and Three. If a deal is agreed it would have to be approved by competition regulators in Brussels. However, Hutchison Whampoa group finance director, Frank Sixt, pointed to deals in other countries, including Ireland, which were given the green light and which also reduced the number of competitors in the market from four to three. “The European Commission has taken a positive view of four-to-three consolidations of mobile in three cases now…and we believe that the precedents that they have set in those transactions will apply for this transaction,” he said. Mr Li has spent more than £20bn on overseas acquisitions in recent years. Earlier this week, he agreed to buy the UK’s Eversholt Rail Group for £1.1bn. The 86-year old is also undertaking a major reorganisation of his business empire, which has interests in property, energy, ports and telecoms. Jeb Bush and Mitt Romney met in Utah on Thursday, as both men consider launching a Republican presidential run. Aides to both former governors confirmed the private meeting to Fox News earlier Thursday. A spokeswoman later told Reuters that the meeting took place, but offered no details. The sitdown apparently had been planned before Romney took the surprise step two weeks ago of telling donors he was considering a 2016 bid. Whether the meeting, first reported by The New York Times, was a symbolic gesture — or a chance for the heavyweight Republican figures to try and avoid a bitter clash on the campaign trail — remains to be seen. Both former governors appear to be seriously considering a presidential run. If they both enter, their campaigns could divide the GOP establishment and donor base — particularly if New Jersey Gov. Chris Christie enters, too. According to The Times, Bush, the former governor of Florida, asked for the meeting, with the intention of showing respect for the party’s 2012 nominee. They kept the appointment even after Romney began openly flirting with a third presidential run. The former Massachusetts governor also spoke before a Republican National Committee summit last week. Removal of an old icon at Disney’s Hollywood Studios. 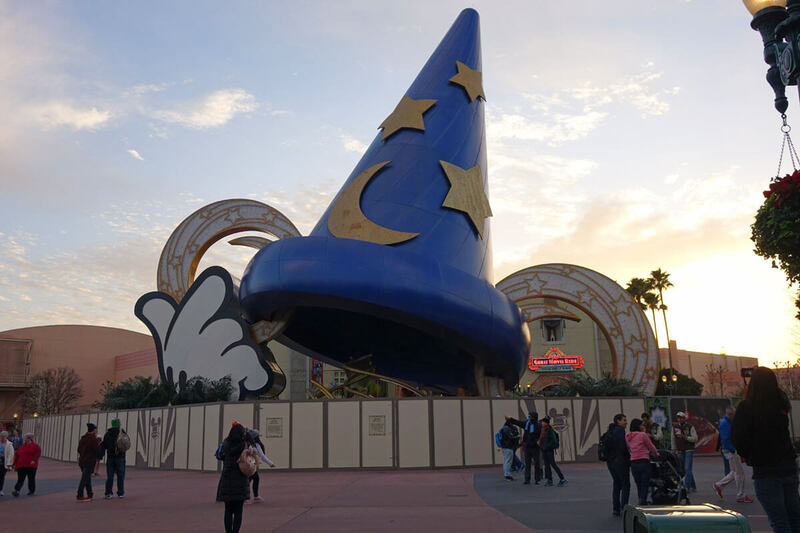 Removal of the big, blue Sorcerer’s Hat that has been the backdrop of thousands of guests’ photos since it was erected in 2001 has begun with construction walls going up on Jan. 6. The decorative stars on the ears and part of the spiral have already been dismantled. The removal of the Sorcerer’s Hat is expected to restore the original view from Hollywood Boulevard of the replica of the Chinese Theater, which houses The Great Movie Ride, recently sponsored by Turner Classic Movies. The project is expected to take several weeks. This entry was posted in Jezebel Home and tagged Bush meet amid presidential bid chatter, Disney World Changes Iconic Icon:, Phone Giant Three In Talks To Buy O2 Network For £10bn, Romney, The move would create the UK's biggest mobile group. Bookmark the permalink.